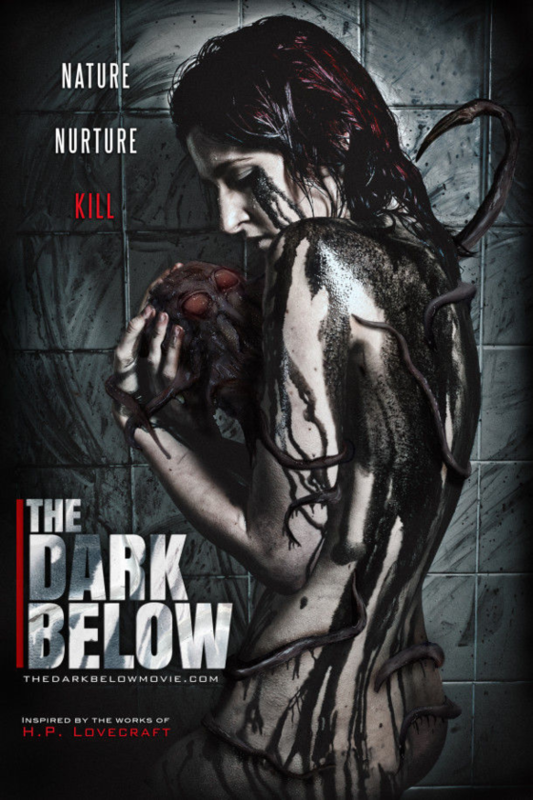 John’s Horror Corner: The Creature Below (2016, aka The Dark Below), a British tentacle monster movie that makes an effort. MY CALL: A perfectly serviceable bad movie that really tries to be good, and fails. Nothing special here. You won’t miss anything if you just move on. (also released as The Dark Below). MOVIES LIKE The Creature Below: For more tentacle monster movies, please consider The Boogens (1981), The Strangeness (1985), The Kindred (1987), Wicked City (1987), Deep Rising (1998), Dagon (2001), Hellboy (2004), Slither (2006), BioSlime (2010), Grabbers (2012), Night of the Tentacles (2013), Harbinger Down (2015), The Void (2016) and Life (2017). After blacking out during the dive, Olive recovers an egg that was—unbeknownst to her—hidden in her suit. Of course, this cephalopod hatches and is a mix of somewhat monstrous and somewhat cute. It spews ink and smoky clouds, looks like a Boogen octopus, and… wait for it… has a taste for human blood. What’s more, Olive seems to have some sort of empathic link to the creature, and has adopted some of its traits (e.g., aversion to bright light). Sadly, this doesn’t lead us where I expected (i.e., Bite). Olive recoils from her normal life and tends to her creature like her own baby—or, obsession. Things take a predictable turn as Olive needs to feed her monstrous dependent, and much as in Little Shop of Horrors (1988), Let the Right One In (2002) or Hellraiser (1987), victims are lured in to feed the beast. The non-CGI effects are weak, but make an effort towards gory fare. The rubber monster’s tentacles bend as no natural creature’s limbs would (i.e., like a rubber toy monster) and its movement is realized as tentacles being dragged across the floor. But it’s honestly better than it sounds. Still, not good either. I feel like everyone involved tried hard to take this seriously and make this film the best it could be… which isn’t awesome. But that’s okay. I really didn’t think it was awful, certainly not unwatchable, but the trailer was much more promising than the actual product. The acting was fine, the writing wasn’t bad (except for the very incorrect view that new species result in fame or riches LOL), and the fledgling director did well enough that I’d be interested in the next project. All in all, this was a serviceable bad movie with a premise and conclusion that skirt’s Lovecraftian notions of Cthulhu. ← John’s Horror Corner: The Strangeness (1985), a bad tentacle monster movie with some redeeming Claymation monster effects. I couldn’t get passed the last star fighter cgi in this film. Pass it on and watch something like leviathan or grabbers. Two excellent films! This film was really just scratching my bad movie itch. My very, VERY bad movie itch.